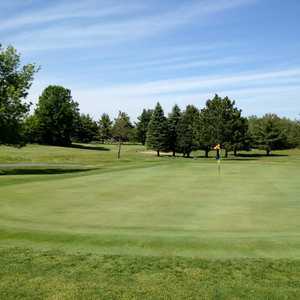 Tullymore Golf Club, which opened in 2002, is among the top public course options in Michigan. The golf course, designed by Jim Engh, sits on more than 800 acres of wetlands and includes three par 5s and five par 3s (the par-3 15th is entirely over wetlands). 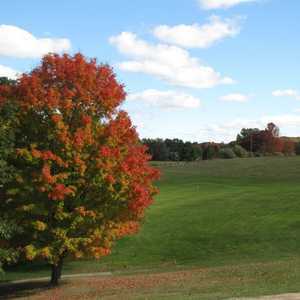 Tullymore has one of the highest slope ratings in Michigan, so make sure you're hitting from the right tee box. Like its sister course, St. Ives Golf Club, the final three holes will challenge you. The 18th, a par 5 that measures 535 yards, is the best of the bunch and is ranked among the top finishing holes in the state. It's a risk-reward hole with water down the left side. And it will give you something to talk about at Tullymore's 19th hole. 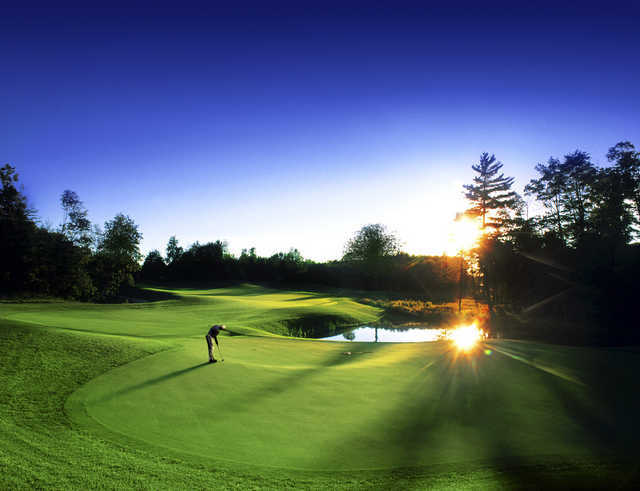 The Tullymore Golf Resort in Stanwood Michigan sits nestled amongst 800 acres of pristine Michigan woods, meadows and wetlands, the perfect venue for a golf resort in The Great Lakes State. However, Tullymore is much more than just your average golf resort. 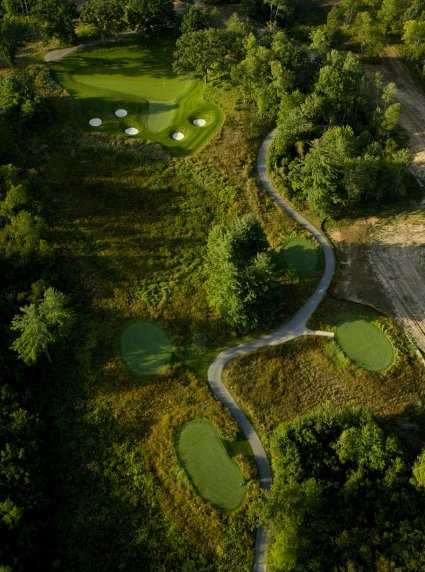 For starters, it features two golf courses; the one on property is design by the highly acclaimed Jim Engh. In addition to being named Architect of the Year in 2003, Engh is one of only five living course designers who has courses listed in Golf Digest’s Top 50 Greatest Courses in America. 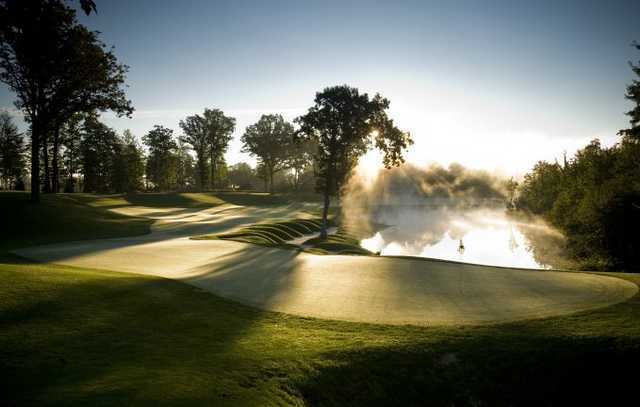 The Golf Resort has also received its fair share of accolades since opening in 2002, including being ranked by Golf Digest in their top 100 Greatest Public & Resort Courses in America, where it is currently ranked No. 53. It’s easy to see why golfers keep coming back to this challenging course set amid the pure, raw landscape of the Michigan wilds year after year. 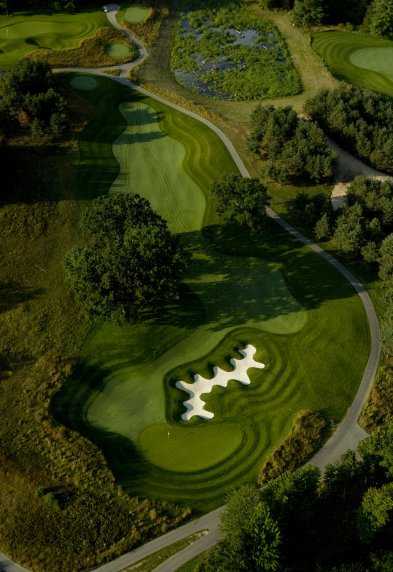 The Tullymore layout is unique in that there are five par-3 holes and five par-5 holes. And with five sets of tees (six on the scorecard thanks to the Combo tees), Tullymore offers a suitable yardage for all level of players. The course plays anywhere from 4,668 - 7,250 yards, with slopes that range from 120 – 150. In creating the golf course, it’s almost like Engh took a painting and recreated it on natural surfaces. The white sand bunkers glisten against the lush green fairways and greens and every inch of the property is meticulously maintained, from the bunkers to the water hazards. Engh has done a fantastic job positioning greens in unconventional ways, many of them angled away from the approaching fairway. What that means is smaller landing areas that require pinpoint accuracy on approach. Their subtle undulations will require good green reading skills as well. The front nine plays to a par of 35 with one par 5 and three par 3s. The opening hole plays 495 yards from the blue tees and with a good drive down the left center of the fairway, it’s reachable in two. This dogleg right features woods and fescue grasses down the right side and more long grass on the left. There’s a large deep bunker on the front right part of the green with a large oak tree in front of it. If you’re not going for it in two, play down the left side, take the bunker out of play and make your par. Number 3 is a short Par 4 that plays 284 yards from the Blue tees. This short hole is a great risk/reward opportunity, especially from the forward tees. However, playing it smart may yield a better score. The first order of business is to navigate the large oak trees on either side of the fairway about 200 yards out and at the same time avoid the large bunker less than 250 yards away. Do this successfully and you’ll be left with a short pitch shot into a shallow green with considerable undulation. Number 4 (160 yards) is the first of two back-to-back par threes that couldn’t be more opposite. This hole requires a carry over water to a large green protected on the right with sand. Number 5 (174 yards) is a longer par 3 that plays slightly downhill and has a long narrow green situated between two mounds, which can help funnel the ball down to the green if you’re a little bit off. The green slopes front to back and with a back pin placement the green looks a lot steeper than it really is. Number 8 (530 yards) is an interesting par 5. It’s a long triple dogleg that plays 530 yards from the Blue Tees and requires an accurate and controlled layup shot. The hole is best played with a drive down the left side followed by a long layup shot that makes it past the pine trees on the right. 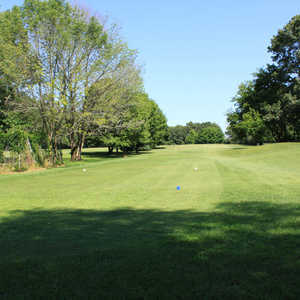 The pines are about 75 yards from the green and there’s a large marsh area that lies between the pines and the green. It’s the second toughest hole on the outward nine. Number 9 is a short par 4 (312 yards) that requires a tee shot of at least 225 yards to make it to the dogleg and have a look at the green. For most players there is enough room to hit driver. This will leave around a 75 yard pitch shot into a green that feeds down to the left. A large beautiful and penal bunker runs up the left side about 60 yards to the green. The back nine is considerably longer and has an extra par 5, playing to a par of 37. Number 10 (404 yards) is both beautiful and challenging. It’s a dogleg left that is best played with a fade off the tee, because of the large pond on the left. Engh has helped players out by building a run area to the green on the right side. Balls that run on to the right side of the green will feed down to the left. As you stand on the 11th green looking back at the hole you just played, you get an appreciation for Jim Engh’s work. It’s a dogleg left par 4 that is best played with a drive towards the far bunker. The green is cut into the hillside, giving it a stadium feel. 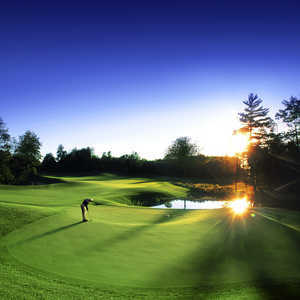 Number 12 (157 yards) is very similar to the Dell hole at Lahinch Golf Club in Ireland, only with a much larger green. The right side of the green on this par 3 is hidden by the hillside. When in doubt, hit it long! The final three holes can make or break your round at Tullymore. Number 16 is a three-shot par 5 (544 yards) for just about everyone. The landing tee off the tee is very generous as long as you don’t push it left. A good drive will still leave a lengthy layup shot just to have something manageable into the green. To score here, you’ll need pinpoint accuracy with your approach shot, avoiding the sand and water that sits well below the green on the left. At first glance the green seems to be a horseshoe shape, however the far side is really just a landing area albeit very small. The rocks down by the sand add a nice touch. Number 17 is a short par 4 (344 yards) that requires a tee shot of at least 210 yards to clear all of the hazards on the right side off the tee. The green sits between two long, beautiful bunkers and is deeper than it is wide. Number 18 is a strong finishing hole, especially if you’re a longball hitter. It’s all risk/reward with water down the left side; bite off as much as you can chew for a shorter approach into the green. If you’re playing Number 18 as a three-shot hole, play up the right side. Find the run-up area and the green will feed your ball down to the left. Going for the green in two is going to require some shot shaping to get around the trees between you and the putting surface. The green in odd-shaped with sand guarding the left side. Tullymore also has some impressive practice facilities, including a driving range that can accommodate 22 golfers at a time as well as separate areas for chipping and putting practice. Take advantage of this as, a good short game will go a long way to scoring well here. In addition to fantastic golf, Tullymore has some impressive accommodations that are part of their stay and play packages. Lodging options range from hotel-style rooms at the Hideaway, perfect for a couple’s getaway, to condominiums the Residence Club – 3- and 4-bedroom condos and custom cottages that can sleep up to ten people. Need something bigger? The Lodge at Tullymore has 10 bedrooms and can sleep up to 24 guests. All have high end amenities such as flat screen TVs in the living area and each bedroom as well as large outdoor patios. All stay and play packages include a buffet breakfast in the Taproom at Tullymore. The Taproom also serves lunch and dinner and Tullymore is famous for throwing some great events that are open to the public. On our visit, they were hosting a Craft Beer Festival, with craft brew from several local – and one distant – breweries as well as a southern barbeque buffet, with pulled pork, barbequed chicken and all the fixings. For golfers who develop an appetite while playing, there’s Tully's Halfway House, conveniently located at the turn. Grab a bite of lunch or a few snacks and your favorite beverages as you head to the back nine. Last Word: Tullymore is truly worthy of any serious golfer’s bucket list. Conditions are spectacular, staff is friendly and knowledgeable and, if you’re part of a stay and play package, the accommodations won’t disappoint. Tullymore is as refreshing to look at as it is fun to play. It doesn’t have the elevation changes of some Northern Michigan courses, but Tullymore will rival any course in this part of the state for aesthetic value. The white sand bunkers often lay several feet below the fairway or green complex and many of them are surrounded with grass mounds making them seem even deeper. The sand is soft and fluffy and easy to play from. If your score doesn’t live up to your expectations, relax and look around, you can’t help but enjoy the natural beauty and serenity of this property. Great condition and outstanding layout with great variety of shots. Back nine is the best 9 holes of golf I have played anywhere. Relaxing patio with firepits overlooking 18th hole for post round refreshments. You can quickly see why Tullymore Golf Club is one of the top courses in the nation. Bentgrass fairways and even the rough are perfect. Green speed is outstanding. The Residence Club is the finest accommodations we have ever had. Five stars. wonderful course, great staff, played super twilight for the huge price cut and they let us out an hour early so we could get all 18 holes in. if you get the chance you have to play it just once. Can't beat the hole variety here by Jim Engh, and the course is as visually pleasing to the eye and camera as can be. Gently rolling through wetlands and on tons of acreage. The new clubhouse is quite an addition. Make a day out of your round here by using the practice facilities and have a meal before or after your round in the restaurant. Each time I've played this course I keep saying "wow this next hole is a cool hole, then the next hole " wow, this next hole is a cool hole" etc etc. This course ranks with Arcadia Bluffs and Bay Harbor. I have played a different course every week for the past 7 years. I play only courses with slope ratings over 130 from the tips. Almost always the higher the slope the nicer the course. There are exceptions but Tullymore is not one of them. This is one of, if not the best layed out course in the state. If you don't like this course, then you really don't appreciate a great golf course.